Free NY Times Bestselling Author YA Romance, 5 Excellent YA Romance Free Kindle Books for the Valentine’s! NY Times Bestselling Author Romance Free for Valentine’s Day! Excellent NY Times Romance free for the Valentine’s! ntemporary Romance (The Southerlands Book 1) by Evelyn Adams. Price: Free. Genre: Steamy Romance of the Day, Sponsor, NY Times Bestselling Author, Romantic Comedy, Contemporary Women, New Adult & College, Contemporary Romance. Rated: 4.4 stars on 200 Reviews. 212 pages. ASIN: B00K4C45PA. NY Times Bestselling Author Evelyn Adams. Reviewers love it: This book was a delight to read! Beautifully written Southern Romance with lots of chemistry! No cliffhanger. Ms Adams has a breezy writing style that reminded me of Jennifer Crusie and kept me flipping pages way past my bedtime! Yummy! *Ill-Fated Love, Book 13 (Marti Talbott’s Highlander Series) by Marti Talbott. Price: Free. Genre: Ancient World, Medieval, Scottish, Military, Teen & Young Adult. Rated: 5 stars on 25 Reviews. 374 pages. ASIN: B00B4ZKPHS. *Never meant to be by Yarro Rai. Price: Free. Genre: Mystery, Holidays, New Adult & College, Teen & Young Adult. Rated: 4.9 stars on 9 Reviews. 139 pages. ASIN: B0179ZA6FC. *Demon Soul (The Caine Brothers Book 1) by Christine Ashworth. Price: Free. Genre: Paranormal, Vampires, Paranormal & Urban, Demons & Devils, Teen & Young Adult. Rated: 4.7 stars on 28 Reviews. 284 pages. ASIN: B01AAZ1RQK. Changing Your Life in Just 10 Days: Creating the Life You Were Always Meant to Live by Marie White. Price: Free. Genre: Self-Help, Mental Health, Post-traumatic Stress Disorder, Religion & Spirituality, Occult, Teen & Young Adult. Rated: 4.6 stars on 5 Reviews. 33 pages. ASIN: B01B8MEJSM. The Five Step Exit: Skills You Need to Leave A Narcissist, Psychopath, or Other Toxic Partner and Recover Your Happiness Now by Amber Ault. Price: Free. Genre: Personality, Feminist Theory, Teen & Young Adult, Children’s eBooks. Rated: 4.3 stars on 6 Reviews. 127 pages. ASIN: B019X8ZPMW. Credits: Michael, Kibet, Switch, SV, Muyise, Nauman, Hannibal of Carthage. Posted on February 14, 2016 February 14, 2016 Author KibetCategories $0.99, $1 Book, $1 Deal, Distraction, YA Romance Deals, Young Adult Romance Kindle Books FreeTags Leaving a Narcissist, Medieval Romance, NY Times Bestselling Author, YA RomanceLeave a comment on Free NY Times Bestselling Author YA Romance, 5 Excellent YA Romance Free Kindle Books for the Valentine’s! Distraction – A $1 Excellent Romance Deal, Grab it before Price Goes Up! Excellent $1 Deal, Free on Kindle Unlimited! ook 1) (Deal, Not Free) by Laura Clark. Price: $0.99. Genre: YA Romance Deal of the Day, Sponsor, Coming of Age, Contemporary Romance, Contemporary Fiction. Rated: 5 stars on 6 Reviews. 349 pages. ASIN: B014C5JZBI. Reviewers love it: A teen book with teen drama that was really good! I absolutely loved the love triangle! I love the young love, the innocence, the newness of the experience and the little giddy feeling I get while reading these books! Laura delivered on all these and so much more! Wait, what? I need more! Please Note: Cliffhanger Ending. 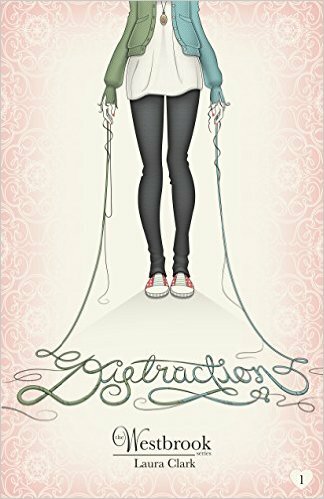 Posted on February 14, 2016 February 14, 2016 Author KibetCategories $0.99, $1 Book, $1 Deal, Distraction, YA Romance Deals, Young Adult Romance Kindle Books FreeTags Distraction, Teen & Young Adult, YA Romance, YA Romance DealLeave a comment on Distraction – A $1 Excellent Romance Deal, Grab it before Price Goes Up!